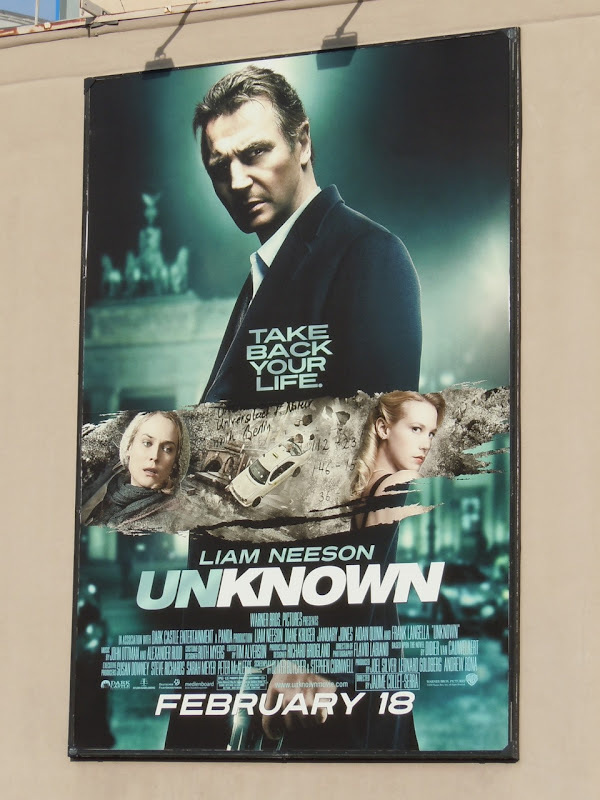 Liam Neeson looks suitably grim and brooding in these billboards for his new action thriller Unknown, about a man who awakens from a car crash to discover that his identity and his whole life has been taken from him. It's no wonder he has that frown on his face. 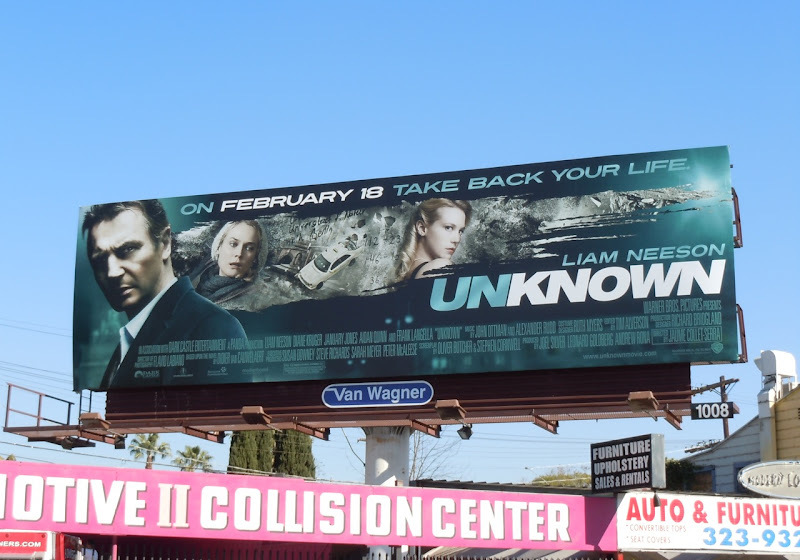 The billboards have a nice colour combination that really stand out and this larger version was snapped at Warner Bros. Studios in Burbank, California and smaller creative photographed along Melrose Avenue in L.A. on February 6, 2011.